Since European settlers cleared the land, the nikau palms which used to grow here have largely disappeared. 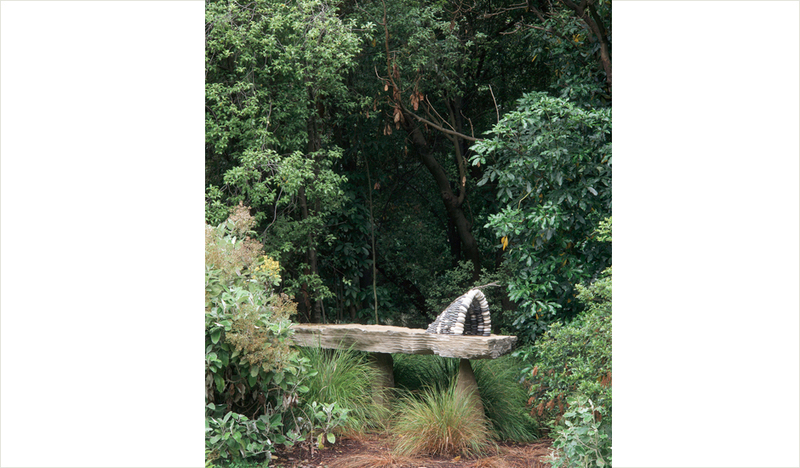 However, in the Botanic Gardens nikau were planted alongside this sculpture. The fronds of the nikau emerge from great bowl-like stems, which eventually become homes for all kinds of creatures on the forest floor.